Check with the beach authorities to ensure that you can legally take the starfish home. Some beaches do not allow you to take starfish or other sea creatures. Dry the starfish between paper towels if you cannot place it outside in the sun. While starfish can be purchased at souvenir shops, many people prefer to find their own to keep as mementos. 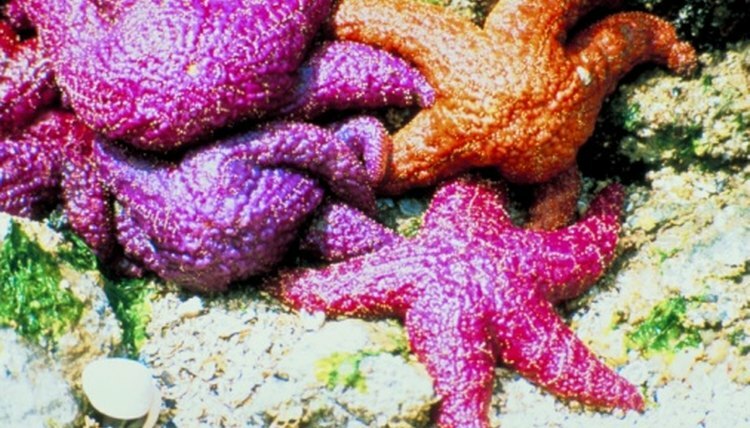 Starfish range in different sizes and colors because many different species exist. Sometimes referred to as sea stars, these echinoderms often wash up on beaches and and can be found along the water. Starfish need to preserved properly because they can begin to smell bad after several days. Preserving the starfish also allows it to harden so you can display it in your home. Rinse the sand, dirt and debris off the starfish carefully with cool water. Soak the starfish in 70 percent isopropyl alcohol for 48 hours. Place the starfish in the sun to dry. Weigh each leg down with a plate to prevent them from curling. Do not use objects that are too heavy or the legs will break.